Huurre is a world leader in green refrigeration and refrigeration automation solutions. By teaming up with IBM Business Partner Valamis to deploy IBM® Planning Analytics hosted in the IBM Cloud™, Huurre uncovered the group-wide financial insights its decision makers needed to drive the company’s ongoing success. As it grew organically and by acquisition, Huurre found it challenging to assimilate financial data from its many divisions, limiting management’s ability to understand overall performance. Huurre engaged IBM Business Partner Valamis to roll out a central solution for financial reporting and planning, based on IBM Planning Analytics on Cloud. The demand for environmentally-friendly, low-energy refrigeration solutions is rising, as companies seek to ramp up their green credentials and cut costs. Huurre is leading the response, developing state-of-the-art CO2 systems that deliver exceptional performance alongside lower energy and running costs. Headquartered in Finland, Huurre has extended its reach further within northern Europe through a combination of organic growth and acquisitions. The company’s previous financial planning tool was not powerful enough to offer a comprehensive overview of performance, providing static reports that were time-consuming to generate. Determined to keep costs down and flexibility high, Huurre began looking for a cloud-based financial planning tool. Following a thorough review of solutions available in the marketplace, the company chose IBM Cognos® TM1® (now IBM Planning Analytics) hosted in the IBM Cloud and teamed up with IBM Global Financing to minimize the impact on cash flow. With help from Valamis, Huurre kicked off the project by switching one division over to the new planning tool for actuals reporting, before extending it to the entire group and adding new functionality incrementally. A few months ago, Huurre upgraded to the most recent version of the solution: IBM Planning Analytics. Today, the company accesses data from its Enterprise Resource Planning (ERP) platform and accounting systems to the solution as a basis for analytics and reporting, building monthly forecasts, weekly sales reports and long-term plans. “Now, our finance teams can use the Microsoft Excel add-in within IBM Planning Analytics to create their own reports using a familiar interface,” says Niiranen. With IBM Planning Analytics, Huurre has increased the efficiency of its financial planning and reporting processes dramatically. The solution provides dynamic reporting, giving users greater flexibility about how they analyze data. Equipped with the insights from the IBM solution, Huurre can enable better decision making, putting it on the path to greater profitability. 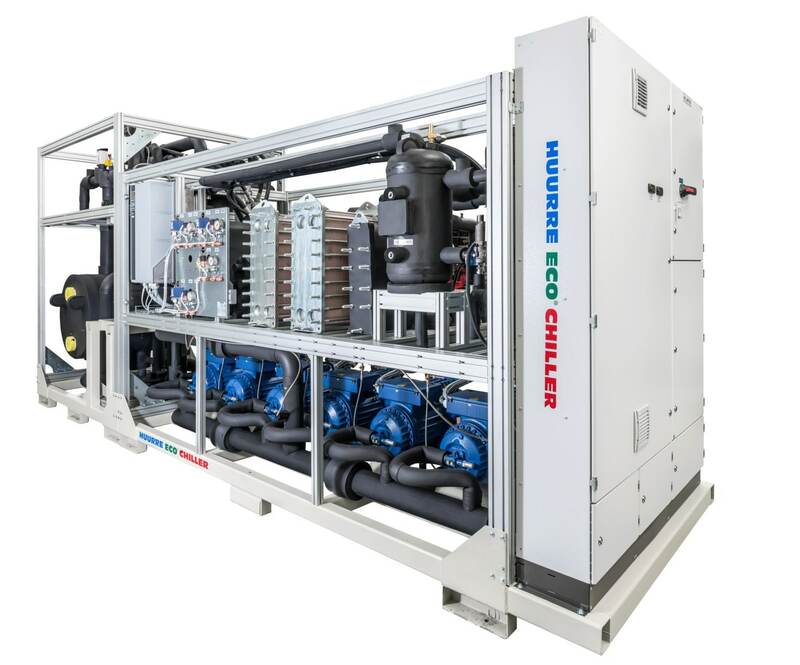 Huurre provides energy-efficient CO2-based refrigeration systems and refrigeration automation solutions and services. Its primary customers include ice rinks, retail operations, food producers, warehouses, professional kitchens and medical facilities. Employing 650 people in five countries, Huurre is headquartered in Vantaa, Finland. Valamis is a digital learning company specializing in workforce development. The company also has strong expertise in analytics, automation, and data science, and offers the Valamis – Learning Experience Platform. Valamis' customers are large organizations spanning across all industries, but predominantly in finance and insurance, complex manufacturing, and professional services. Headquartered in Joensuu, Finland, Valamis operates internationally with offices in the US, UK, Germany, and Russia. IBM, the IBM logo, ibm.com, Cognos, and TM1 are trademarks of International Business Machines Corp., registered in many jurisdictions worldwide. Other product and service names might be trademarks of IBM or other companies. A current list of IBM trademarks is available on the web at “Copyright and trademark information” at ibm.com/legal/copytrade.shtml.